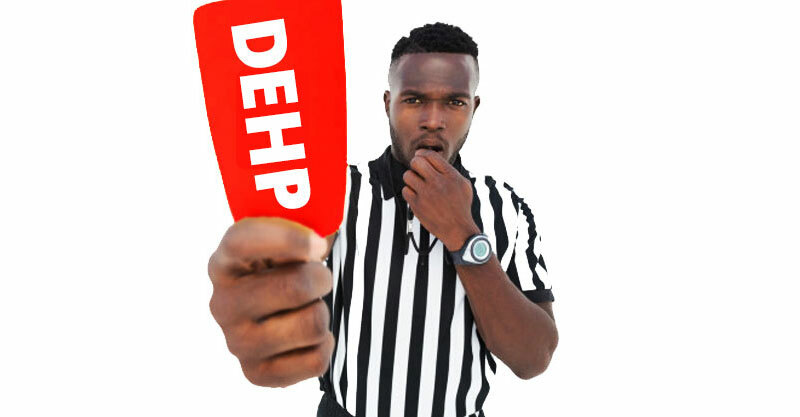 IIs your intermittent catheter made with a chemical called DEHP? It's time to find out! On March 1, 1987, after a popular voter initiative was approved, the state of California created a comprehensive list of "Chemicals Known to Cause Cancer or Reproductive Toxicity." Because of this legislative action, Proposition 65 labeling came into effect. You'll see the Proposition 65 label today on many home medical products that are manufactured with chemicals that fall under this category. DEHP (Di(2-ethylhexyl)phthalate) is listed on the Prop 65 registry as a known carcinogen and known to cause reproductive harm in men. The chemical is also a plastic softener that is often used in the manufacturing process to make PVC more flexible. Several kinds of medical devices, including some intermittent catheters, are still made with DEHP today—and unfortunately, this is currently legal. The American Nurses Association has made strong statements about their concerns with DEHP. Registered nurse Susan Trossman's article in American Nurse Today says, "The American Nurses Association (ANA) … want nurses to consider this: Many chemicals in products—such as di(2-ethylhexyl) phthalate (DEHP) used to soften plastic … are not innocuous. These and other chemicals can affect the health of nurses and patients by direct contact or indirect environmental exposure." For the last 11 years, the American Nurses Association has encouraged hospitals and health care professionals to switch to medical devices that are not made with DEHP, according to a public statement on the ANA website. For the last 15 years, the U.S. Food and Drug Administration (FDA) has warned health care providers to use alternatives to DEHP-containing devices, too. The health risk from DEHP is severe enough that the federal government has also banned it from being used in children's toys due to the chemical's ability to be absorbed through the mouth and skin. Why is DEHP still found in many intermittent catheters on the market today? We can't come up with a good answer for that question, but we can suggest what to do when choosing an intermittent catheter or another home medical product. Did you know the incidence rate of bladder cancer in people who have spinal cord injury (SCI) is 16 to 28 times higher than that of the general population? That's according to a research study published by model SCI center Craig Rehabilitation Hospital. Because of his skill and reputation in treating male urinary incontinence, erectile dysfunction and urinary difficulties, expert urologist Dr. Gerard Henry sees patients from all over the world at his practice, Ark-La-Tex Urology. He received his medical degree from University of North Carolina at Chapel Hill School of Medicine, and completed a six-year Urology Residency at Duke University in Durham, N.C. including a one-year basic science research fellowship and has been in practice for more than 20 years. "Catheter users should care about DEHP and BPA, because they are known carcinogens and known to cause reproductive harm," Henry says. "As a medical professional, my first rule is to Do No Harm," he continues. "If I was discussing with my medical colleagues what they were prescribing, if they were still prescribing catheters that are made with DEHP, I would refer them to that landmark study from Craig Hospital in Denver. Anything you can do to avoid known carcinogens is a good idea." The good news is that a large selection of quality-made, user friendly intermittent catheters exist today that are not made with DEHP. Ask your medical supply provider what chemicals are used in your current catheter. Your medical supply provider can tell you if your current catheter is made with DEHP and offer a comparable alternative if you would prefer to use a catheter that is not made with known carcinogens. Cure Medical CEO John Anderson explains that when there are options available to create intermittent catheters that work just as well as those made with scary chemicals, there's really no reason to use these chemicals if you can avoid it. "Cure Medical believes it's the right thing to do, so we made the decision to go without DEHP in our medical products," Anderson said. Cure Medical catheters have never been made with DEHP, since the company was created more than 10 years ago. Cure Medical also offers free samples to help people learn more about their catheter options. Many people like T5 Paraplegic Kristina Rhoades are now loyal fans. "Although I've used them for over 30 years, I never thought to question what was in my catheters," Kristina says. "I'm a big advocate for natural products, and It wasn't until recently that I discovered that the catheters I had been using since I was a baby were made with several chemicals that have been found to be harmful—chemicals that I had already been working to eliminate from my family's life for years." "Frankly, I was shocked. But with Cure Medical, I can rest assured that I'm using the products that I feel are best for my body," she adds. 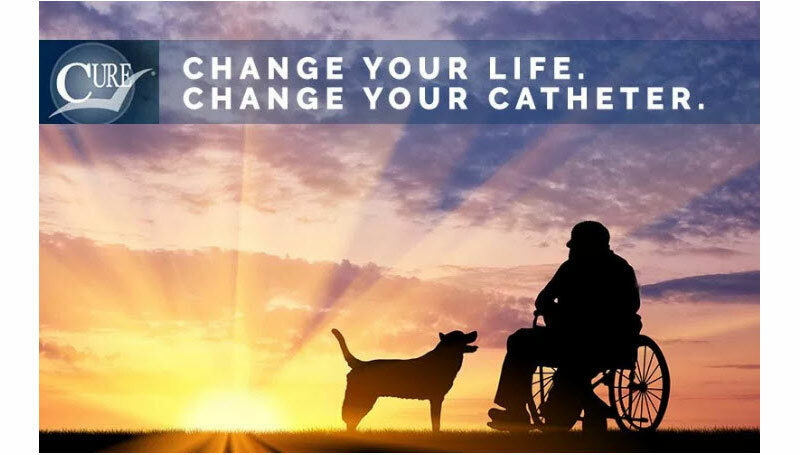 If you'd like to try a Cure Catheter, request a complimentary sample here. As a consumer and a wheeler, knowledge is YOUR power. When you have the facts, you can make informed decisions about which medical supplies and health products you want to use. That's why it's important to pass information like this on to your friends and loved ones who cath too, so they can be better educated to make important decisions about their own health. Share this story with someone you love! Proposition 65 News is a site that provides news and details about California's Safe Drinking Water and Toxic Enforcement Act, better known by its original name, Proposition 65. Hazards: PVC & DEHP is a site from Washington State Occupational and Environmental Health and Safety. "Bladder cancer in patients with spinal cord injury" is a large, broad research document. Cure Medical is the only medical device company that donates 10% of net income from every catheter we make to fund medical research in pursuit of a cure for paralysis and urinary retention. Thank you for choosing a Cure! Visit Cure Medical at Abilities Expo.